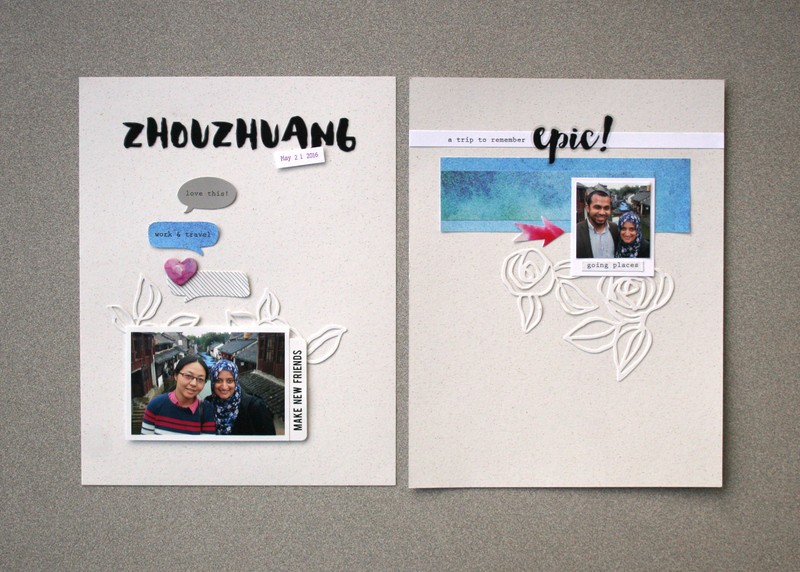 We are so happy that you can join us for our very first Scrapbooking Kit release! We have had this in the works for quite some time – from the early planning stages to designing and then testing out all of the fun elements! As promised, we have one lucky winner from the sneak peek giveaway who will receive the Reflection Scrapbook Kit. Congratulations, Linda! Please email us at winner@altenew.com and we will set you up with the prize. To celebrate this release, Altenew is giving away a $50 gift certificate to THREE lucky winners! Please leave a comment below by Wednesday, December 14th at 11:59pm EST for a chance to win. 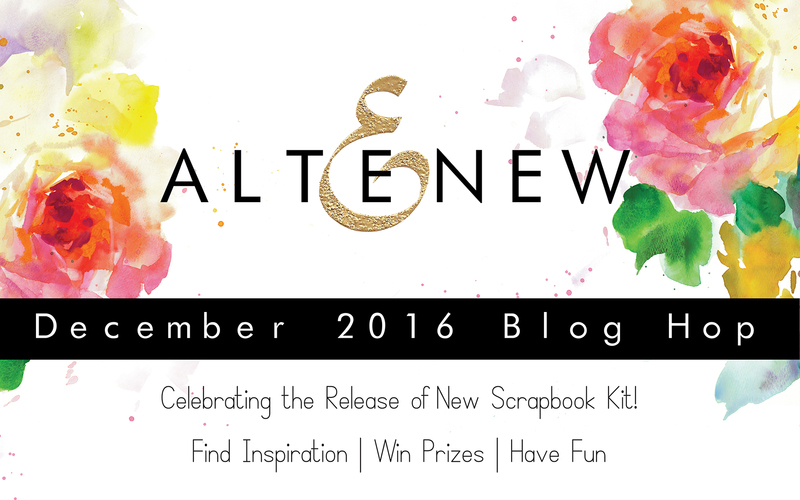 The winners will be announced on the Altenew blog on Thursday, December 15th. Make sure to visit our guests and designers’ blogs as they are also giving away a $30 gift certificate. Receive a FREE Scrapbook Class with every purchase of the Reflection Scrapbook Kit now through Saturday 12/17, 2016 at 11:59pm EST. When you purchase the kit, please email us at academy@altenew.com with your order number and we will provide instructions on how to redeem your free class to the Timeless Floral Layouts Class. Excited for the new kit, can’t wait to see the inspiration! wowie!! love the new kit… more additions to my ever growing wish list! Altnew + kit = awesomeness. Love this, can’t wait to watch the video. Stunning kit! Love everything and its all wrapped up in a lovely reusable box. Off to check out the hop and inspiration. The kit is incredible! It mix my favourite scrap theme – travelling and watercolour design! Nice job on your first layout! Pretty kits make it easy! Love the kit. Makes card making easy. I’m new here. I HAVE seen the BEAUTIFUL cards that Jennifer McGuire has made with your awesome stamps & dies. Just LOVE her speaking voice & LOVE what she makes with all your products. And your inks are LUSCIOUS! So pretty! I’m in the middle of the blog hop and I’m loving it, so many gorgeous creations! I’m going to finish the hop and then watch the unboxing video, as I want to see each of those gorgeous papers! Love all the colors of this kit; and of course, the florals! Swoon! Love it! U inspire me! Oh my gosh, this is so pretty! Wonderful kit!So versatile!Thank you for the blog hop and the givaway! Fun and pretty layouts! Thanks for sharing! Such a pretty kit! I just love your beautiful signature style. I can’t wait to take the class. WOW! For the first Scrapbook kit you have set the bar high! This is an amazing kit and if I could afford it I would be snapping it up right now!! So many awesome elements to sprinkle here and there on whatever the kit recipients create! I am not really a scrapbooker but love doing mixed media, altered art and cards and can see these products taking my creations to a whole other level of amazing!!! Would love to purchase this but the darn prescriptions I am on take up all the money I have most months! I could be selfish and say NO CHRISTMAS GIFTS because Momma wants this kit but couldn’t do that to my three beautiful grandchildren! You are going to have a hard time outdoing this amazing collection and I am very excited to see how you top this one!! For the first one you certainly did an AMAZING job choosing what elements to include!! Thanks for sharing and the chance to win some shopping $$! What a great very first kit! Thanks for the chance to win. Wow, I am loving this already, such pretty paper and fun embellishment! Wow, thanks for the chance to win! I appreciate seeing the layouts and would love to see more. This kit is beautiful. Beautiful creations by all the team. I’ve been a scrapbooker for over 20 years and this kit looks amazing! I am so excited for the hop! Amazing kit and I’m excited to see what else you bring to the paper world! Congrats on the launch of your beautiful new kit! This kit is just beautiful. I would love to purchase it !!!!! This is one of the best and most beautiful kit I have seen in a really long time! Love everything about it! Kudos to the team for putting this together! Well this kit would certainly get me into scrapbooking, that’s for sure! THIS KIT IS SO PRETTY! I WISH I COULD AFFORD IT THIS TIME OF THE YEAR! I AM NEW TO ALL SCRAP WORLD BUT I AM SO PASSIONATE DOING MY OWN ALBUMS. I REALLY WISH I COULD BUY THIS KIT IT SEEMS to HAVE A LOT IN THE SET WITCH ONE WOULD LAST FOR A WHILE :) I THINK ITS GOOD INVESTMENT! AND WAS GOING TO BUY THIS KIT ALSO BECAUSE I COULD GRAB THAT FREE CLASSES BUT WHEN I SAW THE PRICE IT PUT OFF, AS I HAVE HUBBY BIRTHDAY COMING UP ON 2 WEEKS AND CHRISTMAS UNPLANNED… OH WELL, BUT I GOT THIS IN MY WISH LIST :) I HOPE SOON I WILL TRY YOUR KITS! HUGZ AND KISSES FROM LONDON! This kit looks amazing! I can’t wait any longer to go through the design team’s blogs so I can see all of the creations they made with it!! Wow – this kit is gorgeous!! I love all the florals and pretty colors! Thanks for a chance to win. AlteNew produces amazing kits and inks. I especially like the floral kit and am looking forward to seeing what the design team produces from the kit. Fabulous pages! So much inspiration in this hop! Es realmente bello todo el primer kit gran noticia ya quisiera tenerlo para poder crear algunas maravillas !!! Todo lo que veo es bellísimo y los proyectos geniales!! What a beautiful kit! Love the watercolour postcards! It’s amazing Prize ti win! I don’t scrap a lot, but I think I should. This is one way of boosting that goal to scrap more. Love love love the new kit! Thank you so much for the chance to win. Gorgeous kit!!! Can’t wait to play with all the goodies included. Thank you for the chance to win. What a cool kit! I’m not yet a scrapbooker, but kits like this make me want to get started! !